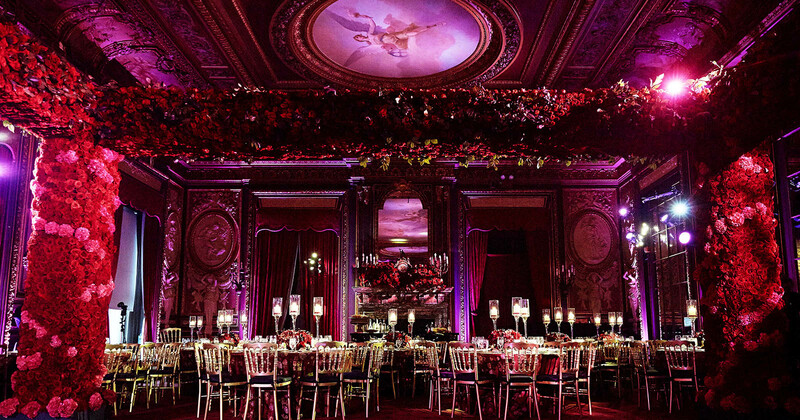 Elegance reigned at the Metropolitan Club for a wedding planned by Norma Cohen Productions. 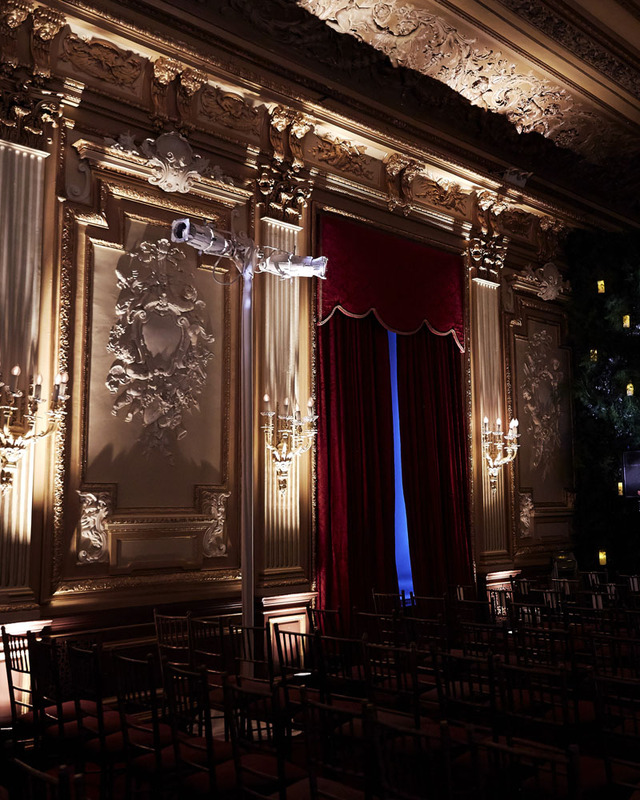 We created a custom lighting design for each of the rooms used throughout the evening to support the decorator’s vision by helping establish different environments. 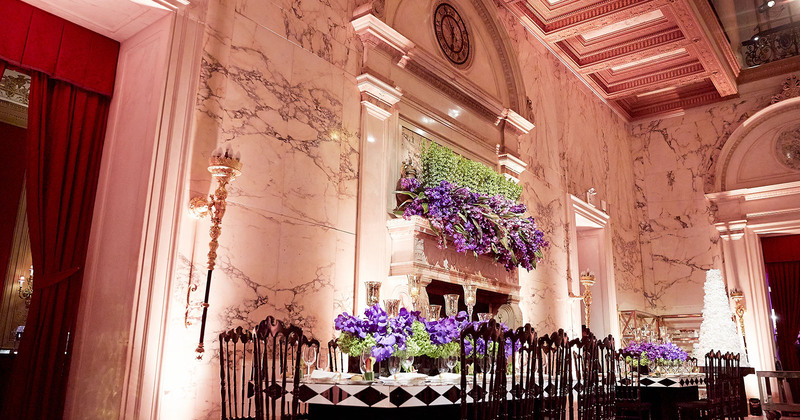 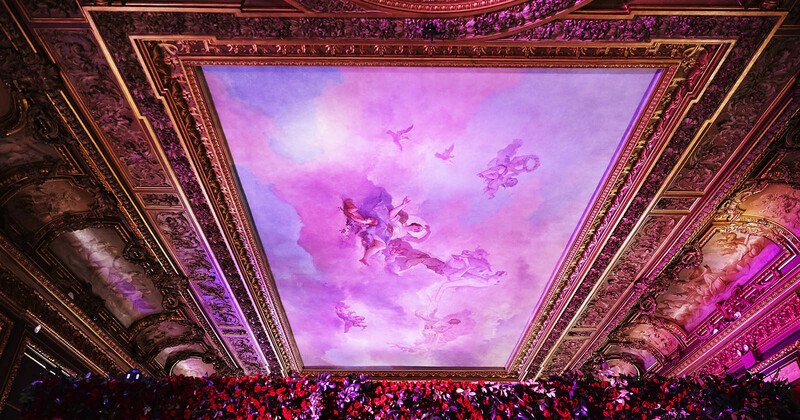 Guests entered the Great Hall, where a dramatic 24-foot floral bar made by SBK Associates (Stephen Kolins) provided a beautiful focal point for the start of the evening. 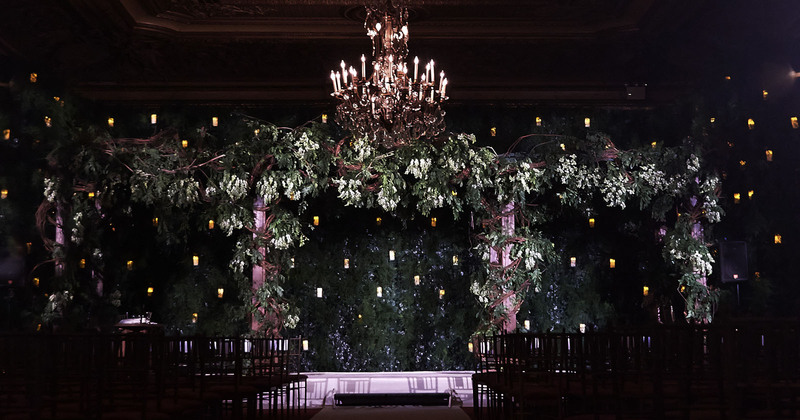 Thoughtful lighting design brought elements of the room’s architecture to life, and assisted guests as they moved through the space, leading to the ceremony in the President’s Ballroom. 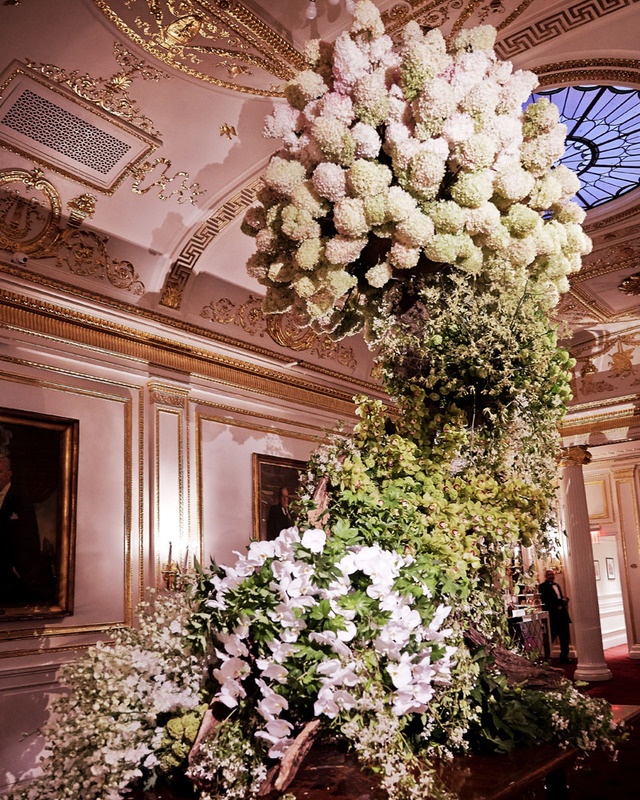 The reception, held in the West Lounge, featured another incredible floral display over the dance floor. 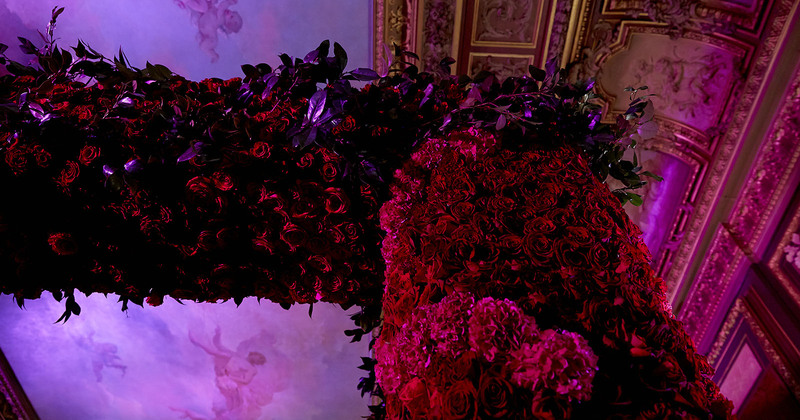 A 24 X 24 X 12-foot truss structure was introduced to support the floral installation that took 8 hours to install. 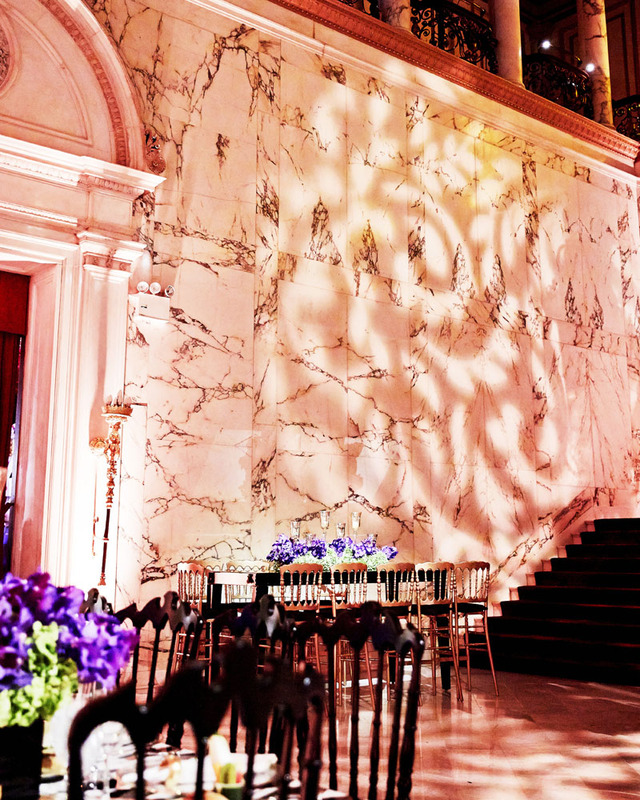 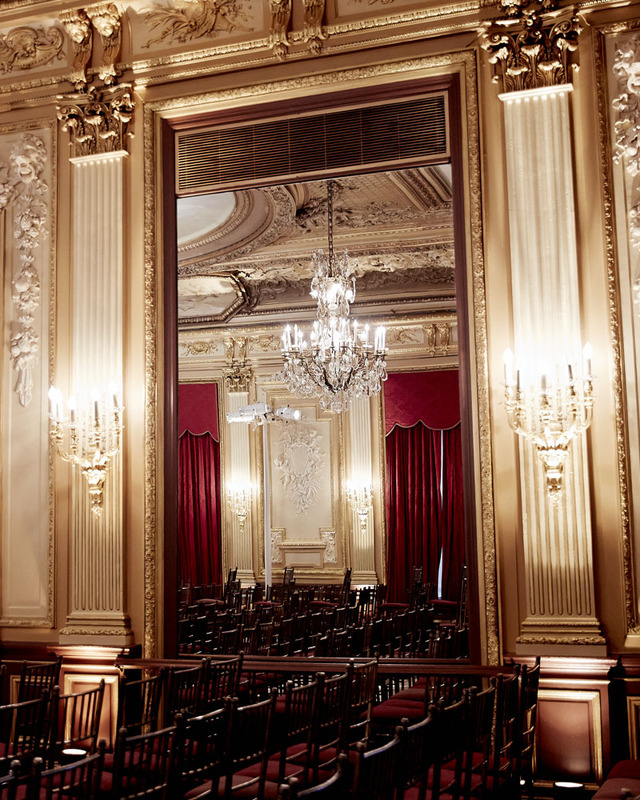 Carefully placed washes of light drew out the opulent golds and incredible detail of the wall and ceiling paintings that the Metropolitan Club is renowned for!